As an act of philanthropy, more and more people from all across the world are getting interested in volunteering for the underprivileged ones, and are traveling across the borders to stretch their helping hands. Volunteering abroad, along with the concept of ‘socially impactful journey’ has evolved much in the 21st Century, and people are extremely keen about focusing on societal development and personal growth, while exploring a new destination. Volunteering Solutions was established in 2006 with the aim of changing the face of volunteer traveling, and in the last 10 years, we have had more than 13,000 volunteers who completed their journeys with life changing experiences. Nicknamed as VolSol, we provide the best volunteer and intern opportunities to interested candidates from different parts of the world, and we ensure that each of them gets the maximum out of the program they choose. Currently, Volunteering Solutions operates in more than 20 countries, providing more than 100 volunteering and interning options ranging from Child Care, Teaching, Medical and Healthcare, Community Development, Marine Conservation and much more. Most of our volunteers are high school students, couples, corporate groups and individuals on their summer break or gap year. 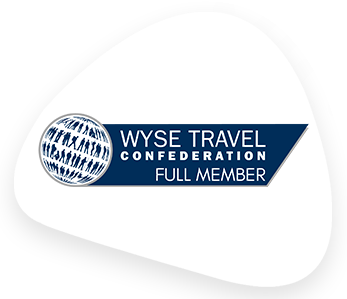 We are one of the esteemed members of World Youth Student and Educational Travel Confederation, which is a global not-for-profit membership organization dedicated to promoting and developing opportunities for the young students and educational travel industry. As we’ve grown with each passing year, our organization has successfully spread its tentacles and now we’ve several other accreditations and have been recommended by several travel resource websites and magazines. Volunteering Solutions was established with the aim to redefine traveling by narrowing the gap between volunteers and underprivileged communities. The main goal behind this was to make traveling more meaningful through social contributions. The first volunteer was placed under a project in India. Initially starting from India and Nepal, Volunteering Solutions extended to different parts of the world, including Latin American countries like Peru, Costa Rica, Ecuador as well as several African countries, like Ghana, South Africa, Tanzania. More volunteers became a part of the programs. Volunteering Solutions attended the international conference in Spain after becoming a member of WYSE Travel Confederation, which was a step ahead in the journey. Becoming a part of a reputed international brand raised the value of VolSol as well. Volunteering Solutions won the prestigious GoAbroad Innovation Awards, for introducing Technological Advancement in the programs. The “My Account” section was added in the website so that participants can track their trip, upload flight info, download trip info, edit trip information and get in touch with Volunteering Solutions’ Program Advisors through their mobile device such as iPhone, Blackberry, Android, iPad etc. As a major achievement, Volunteering Solutions successfully placed 10,000 volunteers within a time span of 8 years. Volunteering Solutions completed a decade in the industry and successfully placed thousands of volunteers under different projects. Experience Trips were launched, in order to provide better volunteer travel opportunities to the participants. Volunteering Solutions aims to make a difference in the lives of the unprivileged people in different parts of the world. Our mission is to bridge the gap between the volunteers and the host communities and to establish a 'Win-Win' situation for both.